BJ grew up in Virginia Beach, VA where he was a member of the Virginia Youth Symphony Orchestra and other community programs. While in these groups, he performed in various places nationally as well as internationally including China and Greece. He went on to study at James Madison University as a music education, cello performance, and music industry major. In addition to his cello studies, he began his singing career at JMU as a soloist with the all-male acapella group Exit 245 where he performed up and down the east coast. 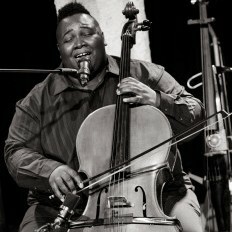 After James Madison University BJ moved to New York City gigging as a free-lance cellist. BJ also became a faculty member at Interlochen Arts Camp in Michigan. There, where he taught lessons, coached sectionals, and performed in faculty recitals. While at Interlochen he explored singing and playing cello at the same time and debuted a composition as a singing cellist at a faculty composer’s recital in 2011. 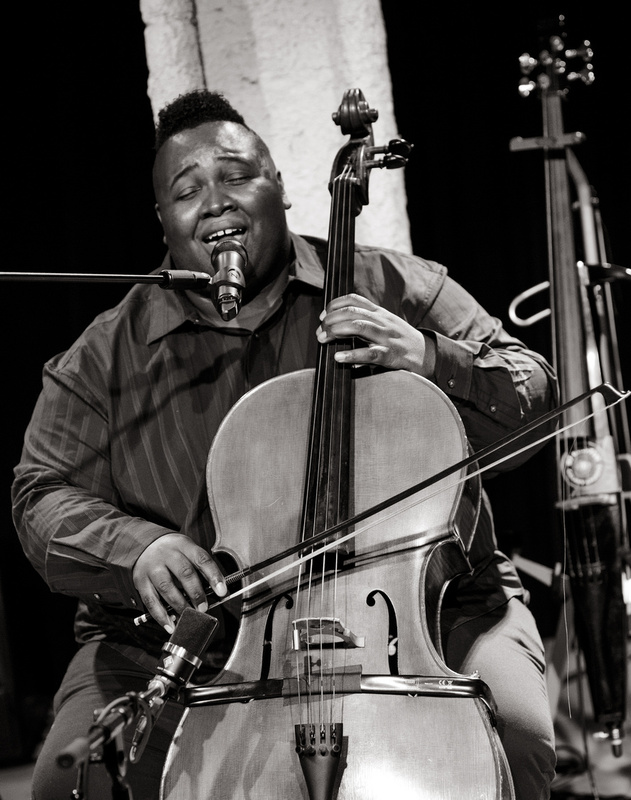 Since then, BJ has pioneered different ways to express the art of singing and playing the cello at the same time. He spends his time performing as a solo artist and assembling diverse ensembles to carry out his vision of mixing classical, jazz, and pop music in hopes of breaking the barriers between the genres. In addition to the genre-bending musical projects, BJ also is a singer/songwriter. He has been a finalist in the Sea Level Singer-Songwriter competition and he has performed his music for several tv and internet specials. 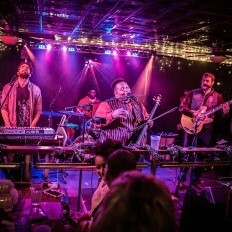 BJ formed a band in 2013 called BJ Griffin and the Galaxy Groove. He also teamed up with longtime friend and pianist Jason Brown creating the BJ Griffin Duo. 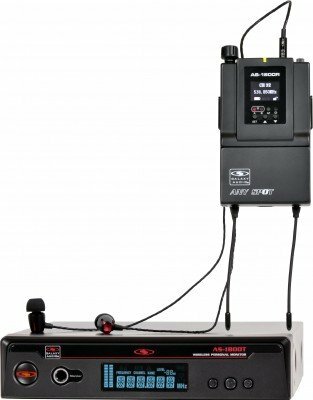 With his band and duo, BJ has a full performance schedule. The band appeared as the supporting act for artists like Ms. Lauryn Hill, Smash Mouth, and the duo recently opened up was most recently the opening act for Lionel Richie. BJ has been featured in Virginian Pilot, Coastal Virginia Magazine and other media outlets including several local television stations. In addition to his active performance schedule, BJ is the owner and founder of the music school Galaxy Music in Virginia Beach, VA.
BJ Griffin & the Galaxy Groove is a 6 piece band from Virginia Beach, VA. Fronted by the Singing Cellist BJ Griffin, the band has a unique sound that sticks with you well after the show. The Galaxy Groove set list includes a perfect mix of oldies-but-goodies with the newest music out today that keeps you dancing all night long. With fun arrangements of popular songs, and a voice like BJ Griffin’s, the possibilities are endless. BJ’s voice is rivaled as “young Stevie Wonder” and the technical prowess make for perfect combination to captivate any audience. The band can pull off anything from Michael Jackson to Jeff Buckley and they also play original tunes written by BJ. The chemistry of the band is undeniable when watching a show and they are in demand in the Tidewater Area. 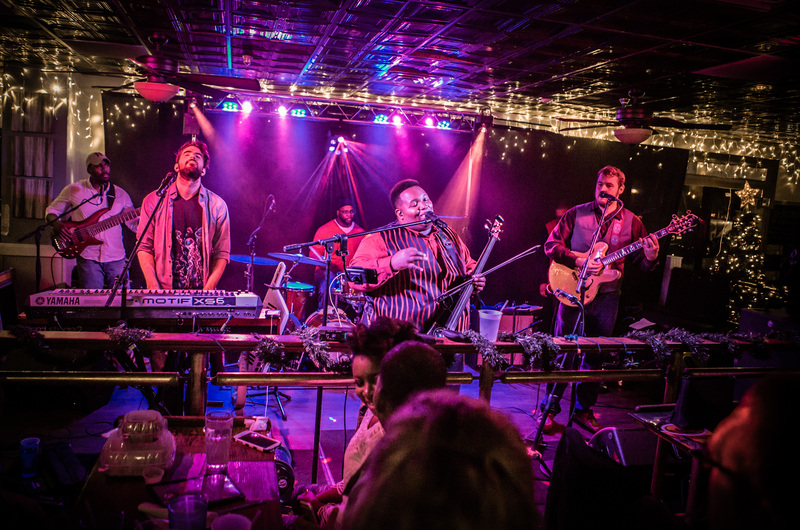 Especially having a cellist leading the band, the Galaxy Groove puts a unique twist on every song they do and has molded into an unmistakable entity.